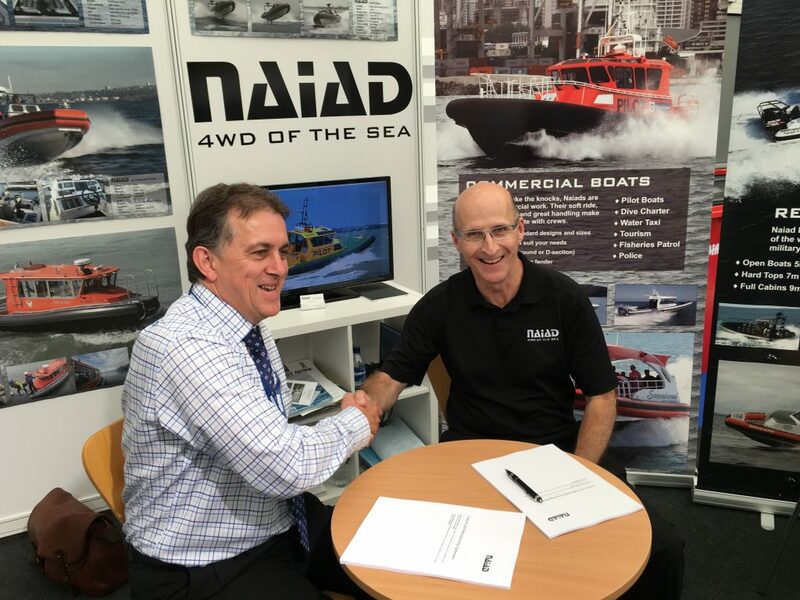 This week at Seawork 2016 Holyhead Marine signed an agreement with Naiad to become their UK licensed builder for their range of RHIB's. Pictured above signing the agreement are Nick Colin York, Managing Director of Holyhead Marine, and John Cowan, Director of Naiad Design. Details of the Naiad range will appear on the Holyhead Marine website over the next few week's, in the meantime you can look at the Naiad website here or contact us directly with any enquiries.